Plant Life – an elusive creature roams through the remains of a 19th century steel cable works. Its movements trace the decay of spaces and machinery, capturing echoes and memories of human workings in this place. Plant Life is a poetic film document of the last moments of a steel cable works in the heart of my home town. Inside this 150-year old, long derelict site, the space makes its own statements and quiet transformations. This new story began with the creation of a new arts centre, the Gempt Halle, built on the former factory grounds, and incorporating one of the old buildings, the forge. A full program of events, including music and theatre, art exhibitions and fairs, now animates the space. Plant Life has been shown at international film festivals & events such as the Lux Open Film Festival 2003 in London, and at Tabula Rasa, a large-scale urban projection event in Croydon, 2002. 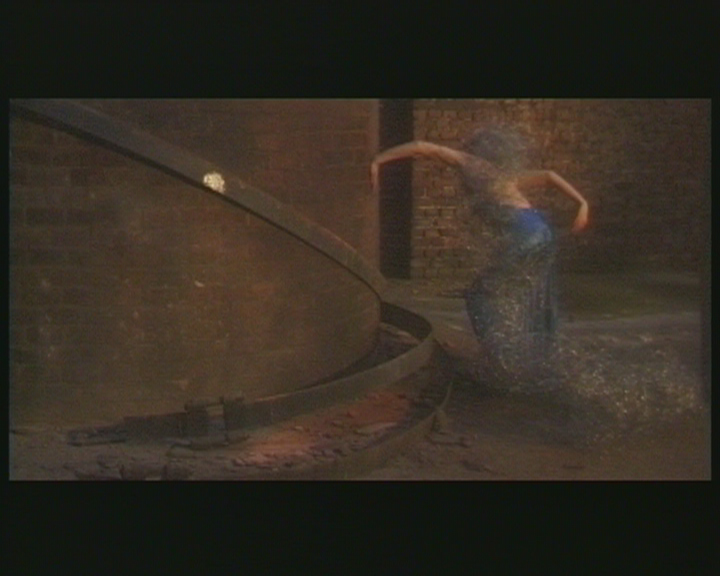 It is also part of Unbekannter Ort [Unknown Place], a sculptural video installation with two screens and rubble field, first shown in 2002 at Sensuous Structures, an exhibition of sensuous architecture at the East London School of Architecture.